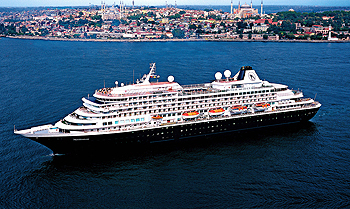 Just announced: Prinsendam is leaving the Holland America fleet. In sad news, Holland America has announced that come 1 July 2019, Prinsendam will be moving to a German cruise company. All itineraries scheduled on the Prinsendam after 1 July 19 will be absorbed by Rotterdam, Volendam and Veendam. During Europe’s warm summer months, Prinsendam soaks up the sun in Northern Europe and the Mediterranean. 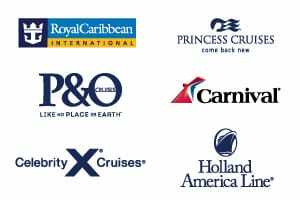 Cruises depart from Amsterdam and Dover (London) for predominantly Northern Europe itineraries visiting the Baltics, Norway and beyond, and Rome and Lisbon, for cruises through the Med, the eastern European coastlines of Spain and France, and down into the Canary islands. Prinsendam also has a few unique itineraries to look out for – cruises to the Holy Land have the opportunity to visit Israel, or explore some of the deeper areas of Europe’s Rivers. As the weather gets cooler in Europe, Prinsendam heads to Central and South America. Discover the islands of the Caribbean, or explore the wondrous cultures of South America. Don’t forget to check out Prinsendam‘s once-in-a-lifetime itineraries to Antarctica. 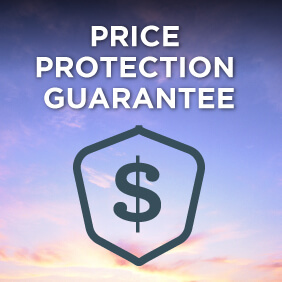 View all Prinsendam cruises, view a selection of Holland America cruise deals, or view more options for Holland America cruises. Explore seldom-visited destinations larger ships can’t reach. With a capacity of just 835 guests, Prinsendam is intimate, yet comfortably spacious. Recently refurbished, from the Lido Market and Java Café to her Explorer’s Lounge, Spa and Salon, our ‘Elegant Explorer’ shines brighter than ever. A special signature sculpture dominates the three-story atrium featuring etched fish, turtles and dolphins climbing a stunning cylinder of Bolle glass and lit with state-of-the-art fiber optics. Other works of art include a remarkable abstract marble sculpture of a Viking ship by contemporary Norwegian artist Nicholas Widerberg, a series of paintings by impressionist painter Neil Pinkett, and an outstanding collection of Roman Amphorae from 50 – 150 AD. Prinsendam, or ‘Princes’ ship, is truly a classic ship worthy of her name. While on board, choose from an array of onboard activities that allow you to pursue new interests or relax and rejuvenate. Enjoy onboard cooking shows and hands-on workshops in partnership with America’s Test Kitchen. Learn how to edit, display and share your vacation videos and photographs through our Digital Workshop powered by Windows. Or simply relax and rejuvenate at the Greenhouse Spa & Salon. Before you board Holland America’s Prinsendam, you must try to prepare your taste buds and appetites for the most scrumptious meals known to man. If you think you’re prepare, come join our highly skilled chefs as they proceed to prepare their meals of sheer delight. You’re guaranteed to become overwhelmed by what you’re about to encounter. We’ll be waiting. Dive-In: Dive in to a grilled burger on brioche or a Nathans Famous gourmet hot dog. For alfresco dining by the pool, Dive-In has it all, including lighter fare like our grilled chicken breast sandwich and vegetarian-friendly portabella mushroom stack. A refined place for coffees, drinks and liqueurs, service to the sounds of the Adagio ensemble. Dedicated:June, 2002, by Rose Abello, Eva Andresen and Linda Ehlenberger, representing all of the employees of Holland America Line.